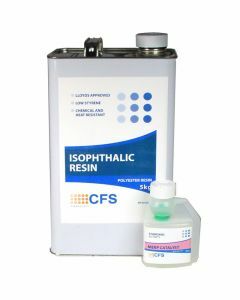 High performance, Lloyds approved polyester resin for hand or spray layup. Used where an increased chemical, heat or water resistance is required. Applications include boat hull skin coating, chemical tank bunds and diesel fuel tanks. Check chemical compatibility before use.